My Little Bookcase has organized The Little Book Adventure to celebrate Australia’s National Year of Reading. She’s created 10 monthly adventures for readers to participate in to explore books and promote a reading culture. This month’s project is Spread Your Love for Books. 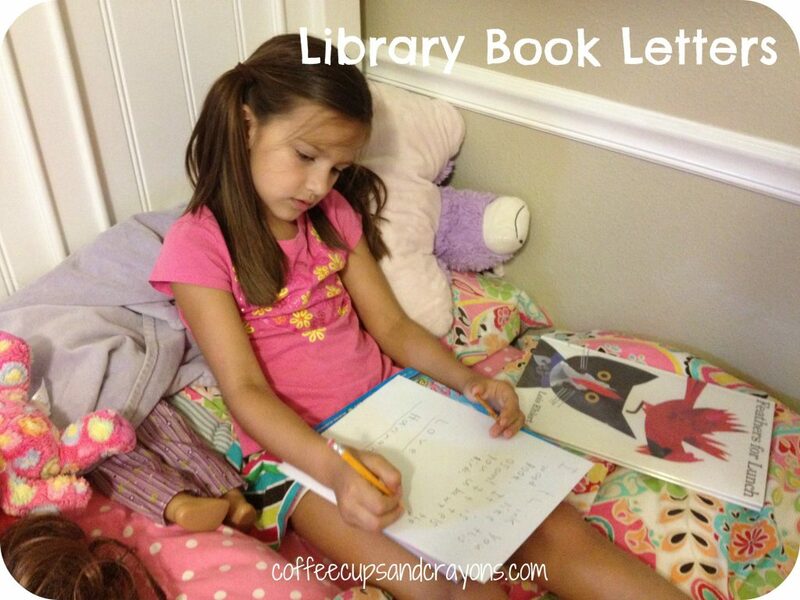 She has a fantastic explanation of the challenge and her inspiration for it on the blog, but basically it is to leave a note in your favorite library book for the next reader to receive. To say I love this idea is an understatement! This is a wonderful way for kids to engage with books and interact with other readers in an authentic way. And that is exactly what happened at our house! After a recent trip to the library my oldest loved writing a letter to the next reader of Feathers for Lunch by Lois Ehlert. She shared her favorite part and even included a drawing from the story. The other kids were excited to participate as well and we spent the rest of the afternoon reading books and writing letters! The 2 year old drew a picture from her story and her sister wrote her words for her. The almost 4 year old could not stop giggling about his book and decided to draw a picture of the funniest part for the next reader. But we haven’t stopped there. For the challenge you only needed to include a letter in your favorite book, but they ended up writing notes in all of the books we checked out and can’t wait to take them back to share with others. And I have a feeling we will be writing many more library letters in the future. 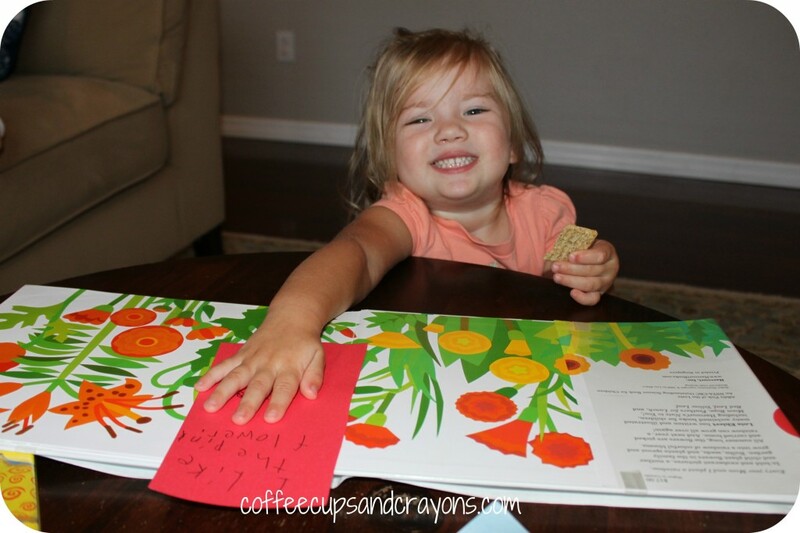 What a fun new way for kids to interact with text! 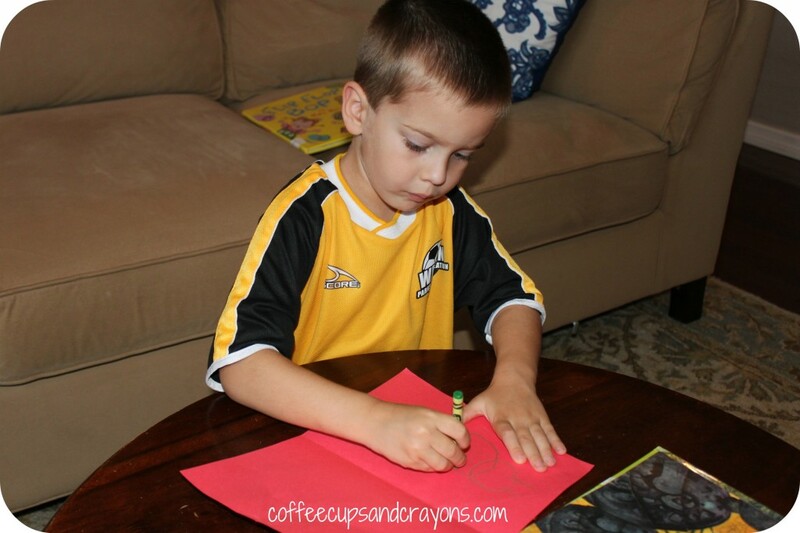 10 Fun Number Shaker Games for Preschoolers! This is a fantastic idea- a kind of anonymous pen pal through library books? Very cool!!! Us too! Such a simple and wonderful activity to engage with books and fellow readers! So fun! The experience your children had with this project sounds absolutely delightful. I think your eldest daughter helping your youngest really melted my heart. Thank you for taking part. may your kids stumble upon a letter of their own one day. It was a fantastic idea! I can’t tell you how much fun we have had with this. And we are doing our best to get everyone in our town on board with this idea so we can find a letter too…but in the meantime we are certainly working our way through the children’s section on our own! I heard from a teacher in PA that is going to start doing this her class too. Such a wonderful idea to spread around! Thanks!